The Ontario sun is harsh. I’m a bit angry at myself because I happened to get some sunburn. I read a lot about skin damage caused by sun rays and often argue with people about it. So, here is my little research. A person responsible for tanned skin trend is Coco Chanel. She was accidentally sunburned on a cruise to Cannes. Before she knew it tan became all the vogue. Nowadays most of girls believe tan gives them a more polished and healthier look. I used to think so myself but now I like my white skin. I accentuate it and refuse using selftanners. Yearning to know more about the skincare, I discovered a book “Don’t go to the cosmetic counter without me” by Paula Begoun. Paula is obsessed with sunscreen and considers sun rays to be the strongest aging factor. Tanning is a protective mechanism that the body has and it’s a sign of skin damage. Basically tan is the burn. The darker your body becomes, the stronger the burn is. Collagen, which is in the dermis, gives the skin its elasticity. As it lessens due to age or UV damage, the skin forms cracks or wrinkles. 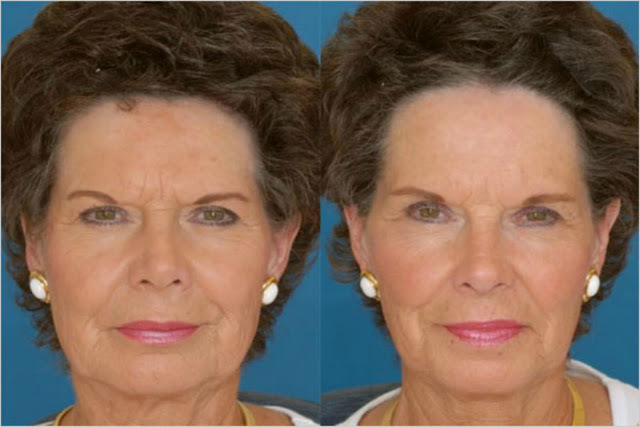 It’s what makes skin pliable the less collagen one has, the more wrinkles occur. Using tan leads you straight to premature aging. 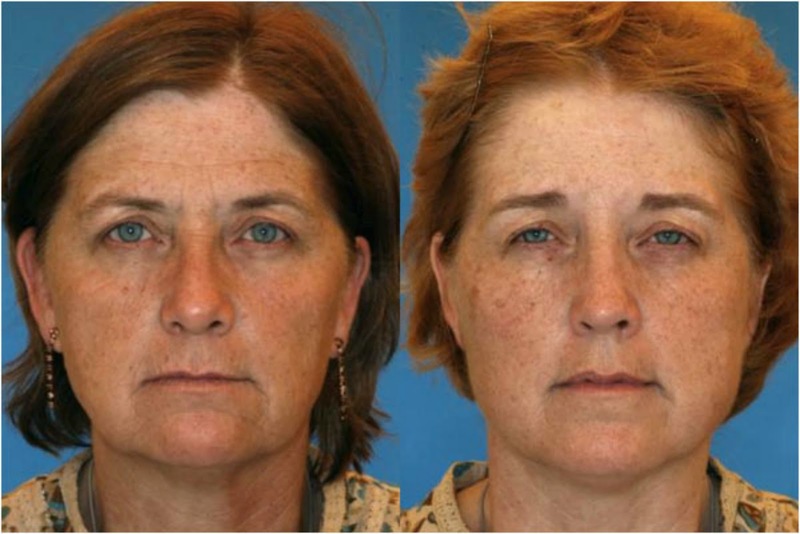 Tanning — especially indoor tanning — causes more than just hideous looks. People who use tan more likely to develop squamous cell carcinomas (SCC) and basal cell carcinomas (BCC). Someone would also suffer from a weakened immune system (people often develop cold sores after tanning) and an increased chance of getting cataracts and ocular melanoma, a rare and often overlooked eye cancer caused by overexposure to UV light. The main point of people who like tanning is that they are concerned about being vitamin D deficient. While solar UVB is one source of vitamin D, the benefits of exposure to UVB cannot be separated from the harmful effects of it. Excessive exposure to the sun actually depletes our body’s supply of vitamin D. The safest way to obtain vitamin D is through a combination of diet and vitamin D supplements. Sunscreen continues to be one of the safest and most effective sun protection methods available. 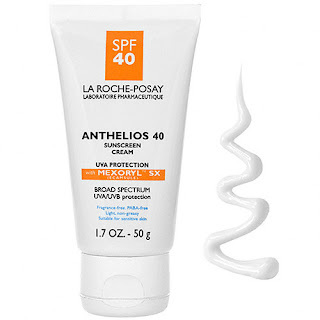 The Sun Protection Factor (SPF) displayed on the sunscreen label refers to the product's ability to screen or block out the sun's harmful rays. For example, if you use a sunscreen with an SPF 15, you can be in the sun 15 times longer that you can without sunscreen before burning. 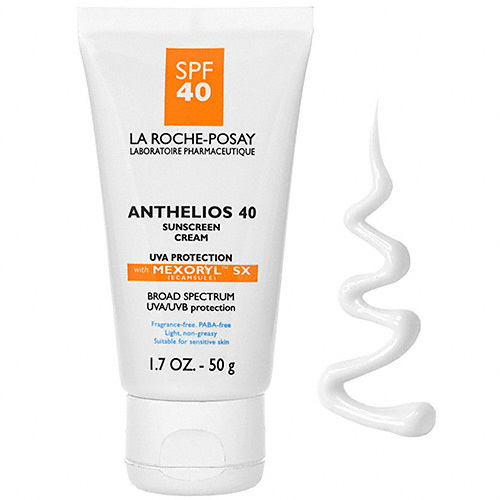 SPF protection does not increase proportionally with an increased SPF number. While an SPF of 2 will absorb 50% of ultraviolet radiation, an SPF of 15 absorbs 93% and an SPF of 34 absorbs 97%. Sunscreens can be classified into two major types: chemical and physical. Physical Sunscreens, most often referred to as sunblocks, are products containing ingredients such a titanium dioxide and zinc oxide which physically block ultraviolet radiation (UVR). Sunblocks provide broad protection against both UVB and UVA radiation, those rays that penetrate deeper into the skin and are the culprits in premature aging and wrinkling of the skin. UVA-screening chemicals include oxybensone, sulisobenzone and avobenzone. The SPF number on sunscreens only reflects the product's ability to screen UVB rays. In other words, you should read the list of ingredients carefully to make sure your sunscreen provides an appropriate protection. 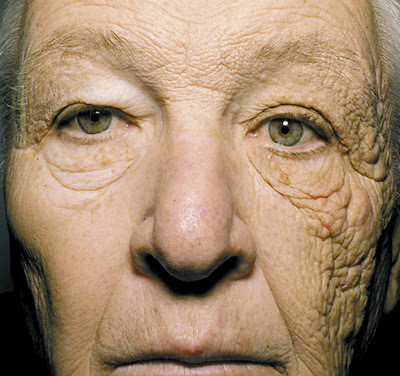 This 69-year-old truck driver's face has been prematurely aged by the sun, but only on the left side. The right side of his face has been shaded by the roof of the truck. UVB rays get most of the blame for skin cancer, but here we see evidence of the long-term damage caused by UVA rays. Dermatologists strongly recommend using sunscreen with SPF 15 or greater on daily basis all year around. In the winter it’s easier because you need sunscreen only for your face and hands, while the rest of your body is covered with clothes. In the summer you’ll have to protect your body as well. - It should be affordable. You have to apply 2 tablespoons of sunscreen to your entire body and reapply every two hours or after swimming or excessive sweating. 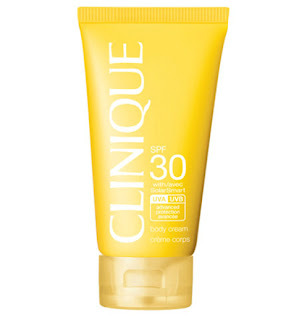 - Its SPF level should be 15 for the winter and 30 or higher for the summer. - It should be moisturizing enough (I prefer creams not lotions) and smell good. - It should be waterproof or water-resistant. - It shouldn’t contain vitamin A and its derivatives, retinol and retinyl palmitate, as this may speed up the cancer that sunscreen is used to prevent. 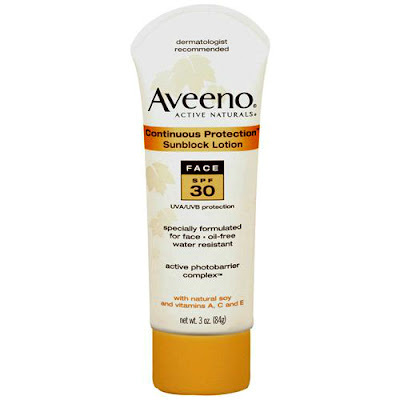 Aveeno Continuous Protection Sunblock Lotion for the face with SPF 30 is my must have for the summer. 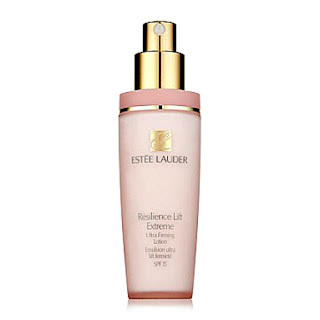 It combines a patented sun protection complex with natural soy proteins and vitamins A, C and E.
Estee Lauder Resilience Lift Lotion SPF 15. I use it mostly during winter months. Not just a very good moisturizer but also provide a reliable protection. 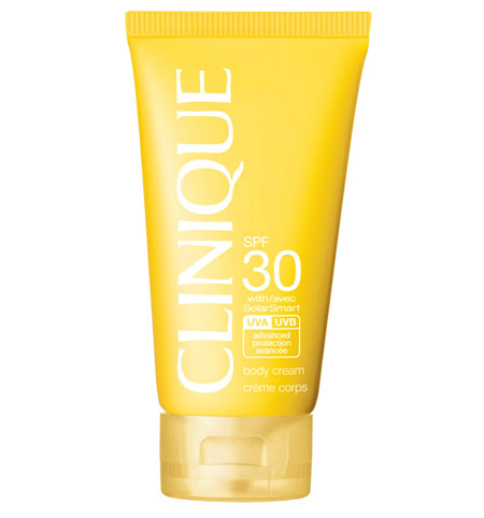 Clinigue Sun SPF 30 Sunscreen Body Cream. Clinique Sun line is perfect. I use it at the beach. I can spend there an entire day and don't get even a hint of tan. But don’t’ forget to reapply. L'Oreal and La Roshe Posay sun lines. Contain Mexoryl (TM) SX which is owned by L'Oreal, and is only available in L'Oreal products. Mexoryl(TM) SX is particularly effective against short UVA waves. Unlike other filters that offer UVA protection, Mexoryl(TM) SX is photo-stable, meaning it does not degrade when it is exposed to the sun for long periods of time. 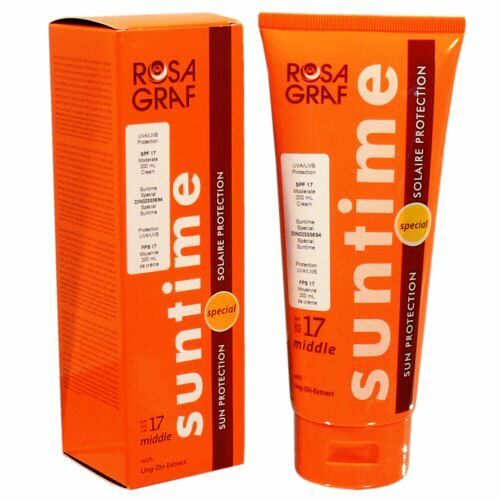 Rosa Graf Suntime SPF 17 Made in Germany. Free of:oils, preservatives and emulsifiers. Features a unique formula,Suntime is encapsulated in liposomes to ensure that the filter substances are fixed in the upper layer of the skin and thus can not be washed down or rubbed off.Very light-texure(suitable for oily skins as well), provides double security after one application the skin is protected for several hours. Non-medical ingredients: Ling Zhi mushroom extract (protein antioxidant, rich in polysaccharides and trace elements), Lecithin (natural emollient and antioxidant), Lemongrass oil (refreshing, Vitalizing. Sold only through Salons/Cosmetologists, not over the counter. If you live in GTA ask us where to buy at torontolookbook@yahoo.ca. Cover up with clothing, including UV-blocking sunglasses.